This page has Santa and his elves having a little fun and letting off some steam. 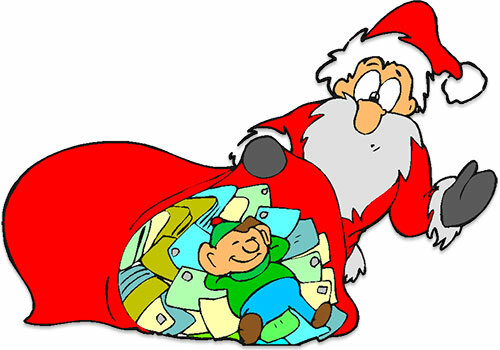 Delivering presents to every child on earth is hard work. 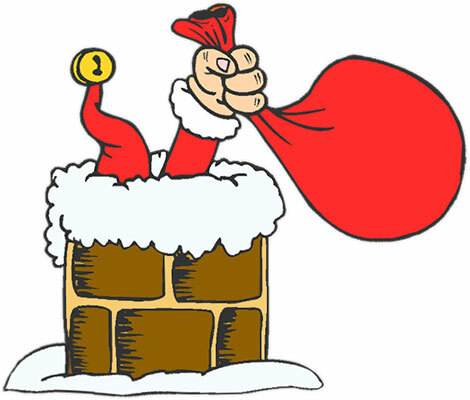 Santa Claus going down your chimney or perhaps coming back up. Of course, he could be stuck. 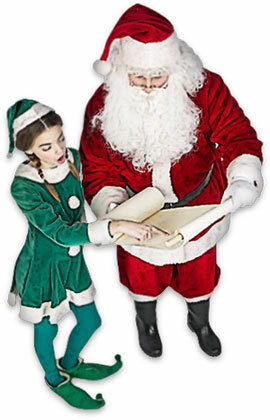 Santa Claus and one of his elves checking his list to see which little boys and girls have been good and which ones have not (hope my name is on the good list). Perhaps she is pointing at your name. This is a photo clipart image with a poster edge filter and glass filter overlay on a white background. Wow! I finally stayed awake long enough to meet the "Real Santa". This is the best day of my life. 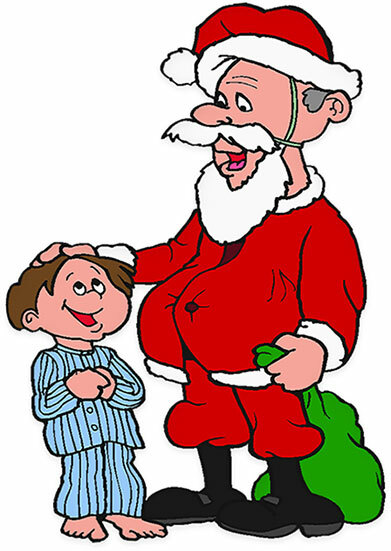 Santa finds an elf. I think they call him "lazy elf". It's the famous "Santa And The Elves" rock and roll band. When you work 363 days in a row to get ready for Christmas Eve you have to let off a little steam. On December 26th it's time to party and the best party band at the North Pole is "Santa And The Elves".